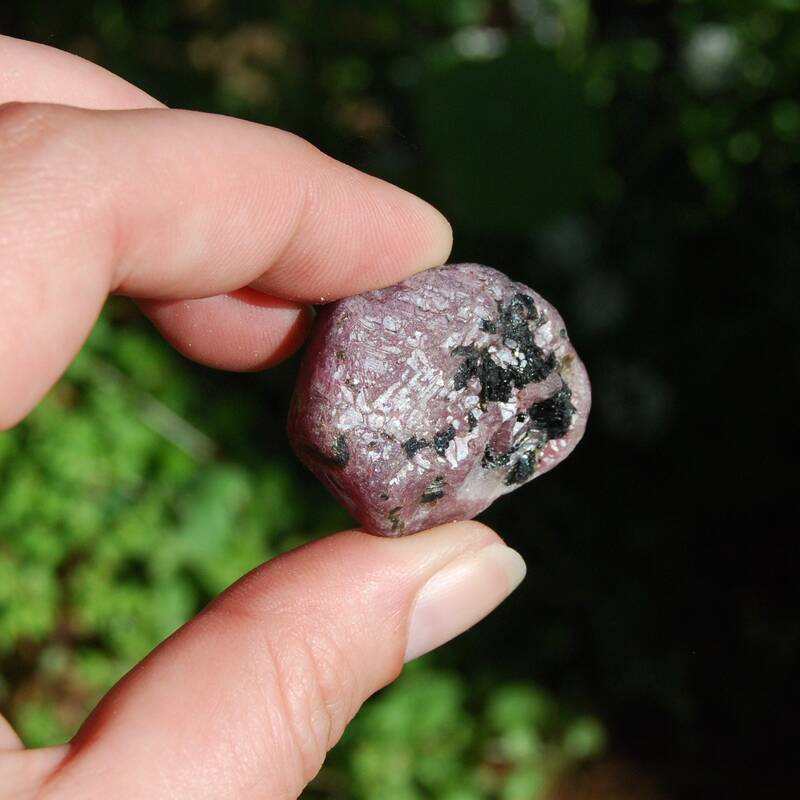 For your consideration is this natural Ruby Corundum crystal. This one weighs 23 grams and measures approximately 1.25 inch wide. 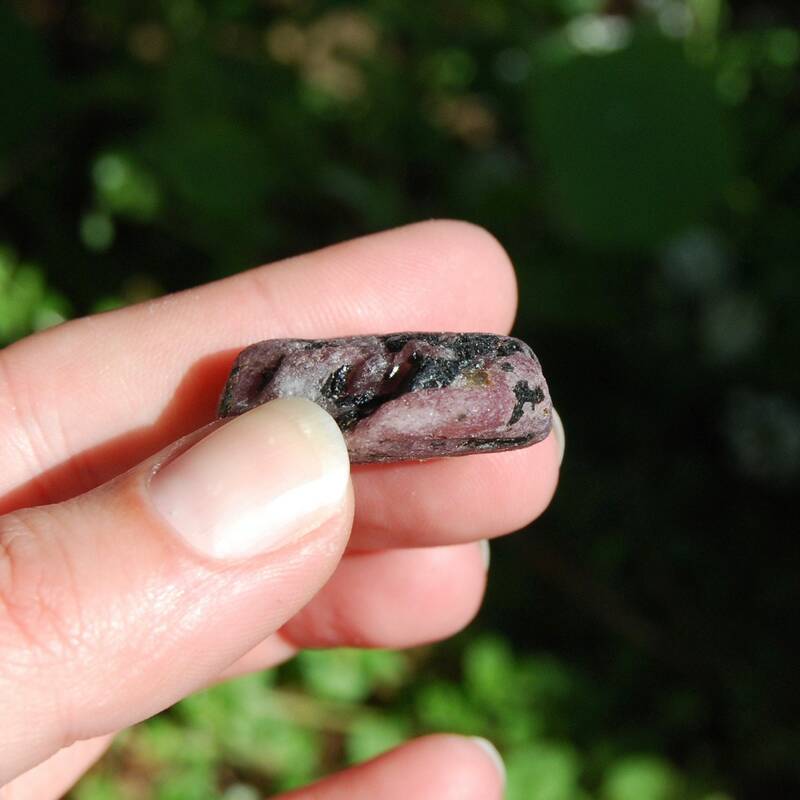 The name "corundum" is derived from the Sanskrit "kuruvindum”, meaning “ruby”. Corundum is the raw form of ruby and sapphire and is one of the hardest stones on Earth, next only to diamond. These natural hexagons are thought to be fragments of Krishna’s spear that shattered when he used it to vanquish the Lord of Destruction during the Vedic wars. 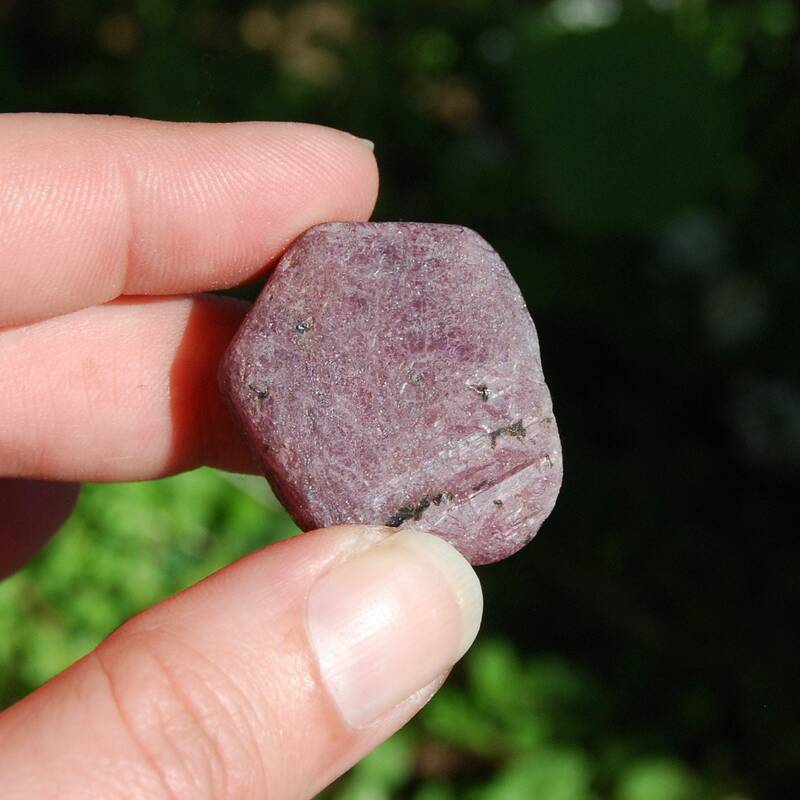 Corundum stones are heavily etched Trigonic Record Keepers of ancient esoteric information and histories. They are thought to connect to and communicate with ancient spiritual guides. Aids in astral travel. Enhances intuition, ambition, and confidence. Aids in releasing anger in a positive manner. 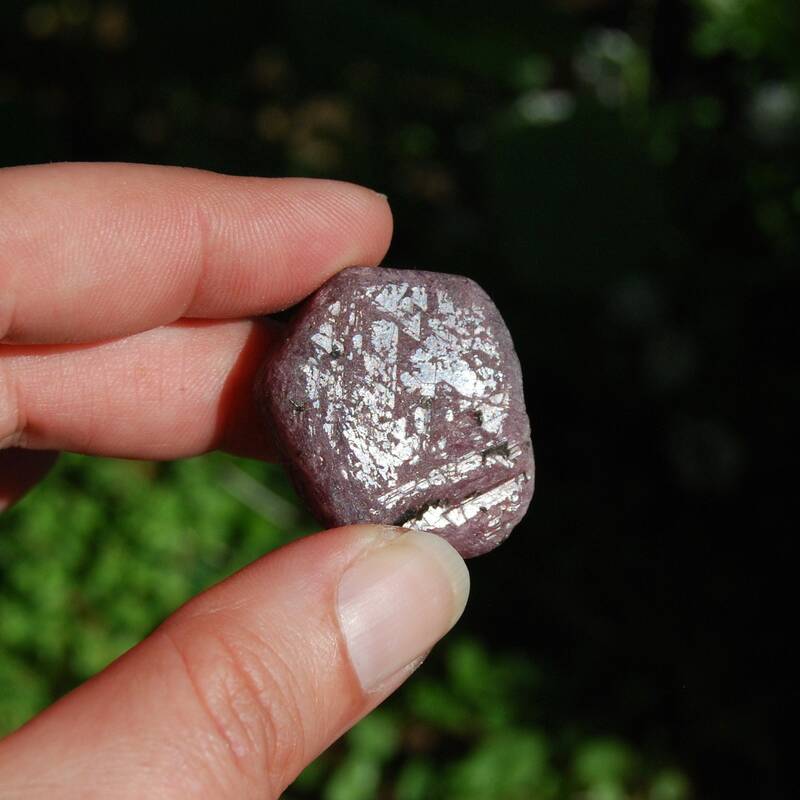 It is a stone of manifestation and promotes creativity, sensuality, and the retention of wealth.